A coalition of Comoran and African Union troops invaded the rebel island of Anjouan on Tuesday hunting for its renegade leader and exchanging fire with his supporters along the way. Within hours of the pre-dawn operation, the 1,400 federal, Tanzanian and Sudanese soldiers had made swift progress. Military officials said they had "located" Mohamed Bacar but it was not clear whether they had detained him. The coalition staged its long-awaited landing in Anjouan's capital and main port of Mutsamudu, where they were greeted by cheering residents. Bacar's re-election last year as president of Anjouan -- one of three islands forming the Indian Ocean federation -- has never been recognised by the international community and he has faced warnings of an invasion ever since. 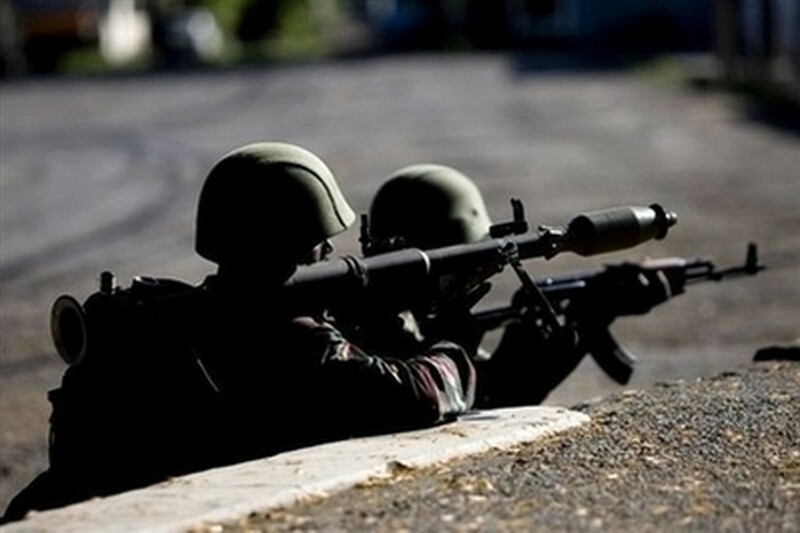 Coalition forces "are deploying on the island... but you cannot secure control of the whole island in three hours," Defence Minister Mohamed Bacar Dossar told AFP in Moroni, the Comoros' federal capital. An AFP reporter in Anjouan saw Bacar loyalists -- with red ribbons, the colour of the Anjouan flag, knotted around the barrels of their assault rifles -- near Bacar's residence in Barakani early Tuesday. "I can confirm that everything is over in Barakani. Our forces entered the residence, the soldiers searched the premises but Bacar wasn't there," senior government official Antoy Abdou told AFP. Small groups of Bacar loyalists -- believed to number barely 400 on the whole island -- armed with rifles and rocket launchers offered some resistance around a key security compound and a fuel depot in Amirosy, near Mutsamudu. An AFP correspondent saw one wounded woman being brought into Mutsamudu for treatment. One man was also injured when coalition forces fired on a house believed to shelter Bacar allies. A spokesman for the Comoran army, Ahmed Sidi, told AFP that Bacar had been located but did not elaborate. Bacar's Dar el Najah presidential palace on the heights of Ouani, near Mutsamudu, was also deserted, an AFP correspondent reported. Sentry posts were empty, the building's doors wide open and undefended. "Mohamed Bacar has not used all his forces and equipment yet. He's a clever poker player," warned Aboubekr Chahassou, one of Bacar's former allies now loyal to the federal government. Comoros President Ahmed Abdallah Mohamed Sambi announced in a national televised address Monday that he had approved the long-threatened operation to reunify the three-island archipelago. "I have ordered the Comoran army and the the forces of our country's friends to bring Anjouan back under the rule of law and free her citizens," Sambi said, adding that he did so "without joy, like swallowing a bitter pill." "The latest attempt ... to bring them back to reason failed like the others," he said, in reference to months of mediation by the African Union. Since winning independence from France in 1975, the Comoros -- an impoverished archipelago home to around 700,000 inhabitants -- have never known constitutional stability and have faced 19 coups or coup attempts. Bacar, 45, was elected president of Anjouan in 2002. He was re-elected in June 2007 in a poll that was declared illegal by Sambi's federal government and was never recognised by the African Union. In addition to the African Union, France, the country's former colonial power, has also given the operation to oust Bacar its blessing, and helped airlift the AU troops to the area.